After criticizing Facebook and Skype, first of which I use rather sporadically and the second one mostly due to some of my old contacts switching from other instant messengers to it, now I have to say a few words about Twitter. Like Facebook and Skype it has become a huge phenomenon and it's hard to ignore it. So, here we go. To begin with, Twitter shares a lot of similarities with other social networking services. It has a fancy name although it is a dictionary word. Most of its content is useless and just a filler. Many of its ordinary consumers pile huge number of followers/friends just to sport a big list of them while at the same time, there are spammers, Internet marketers, businesses, etc. that intentionally build large contact bases in order to achieve some shady goals. Similarly to Facebook, Twitter has millions of users and probably an exaggeratedly big potential in the eyes of the investors. But... unlikely for a service of this type, I actually find a couple of beneficial usages when I think of Twitter. The first useful side of Twitter is that popular persons (artists, celebrities, politicians), not so popular folks and all kinds of companies can share news, important information, promotions, various notifications and whatnot with their admirers, customers, friends or simply "followers". Of course, this does not prevent the continuous flow of superfluous data but it would be unfair to deny there is a certain amount of good stuff. What distinguishes Twitter in this respect is its format and the basic idea of microblogging. The short messages are ideal for efficient sharing of qualitative content which otherwise would be diluted in texts with bigger size. 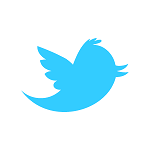 The second beneficial usage of Twitter is the opportunity to contact companies directly with questions or requests. It's an additional channel to communicate with those companies which have Twitter accounts and as my experience indicates it is considerably more productive than for example, to deal with their standard support teams. Again, the short format of the tweets allows for meaty communication and the availability of direct messages provides for private conversations if needed. I have already had several successful attempts in this direction, the latter being to contact Seatwave.com representatives after their regular support team appeared to be absolutely useless. My assumption is that most of the companies assign for Twitter tasks personnel from their staff that is more dedicated to customer satisfaction than their support teams (which with some rare exceptions primarily send standard trashy replies of no use that in many cases even offend your intelligence). Having a concerned person on the other side in the case of contacting a company "directly" via Twitter could be often surprisingly satisfactory.